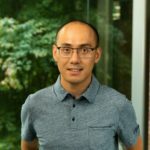 Have you attended a Connect(“Live”); event? What? You haven’t? Well, then, here’s the details: These events are 1-hour long, informal, live-streaming chats with the product teams, providing you an opportunity to ask questions and share feedback. Every few weeks we’ll bring a new team for an open mic Q&A session. Recently, on the 26th of February, we held our first Connect(“Live”) event with the Debugging and Cloud Diagnostics team; later, on March 23rd, we gave the floor to the Windows Presentation Foundation (WPF) team. If you missed these event, don’t worry we recorded them for you. You can catch a recording on Channel 9 or read a recap below. Recap of Debugging and Cloud Diagnostics Live Q&A. At the Debugging and Cloud Diagnostics Live Q&A we were joined by Saurabh Bhatia, Andrew Hall, and Boris Scholl, moderated by Dan Fernandez. 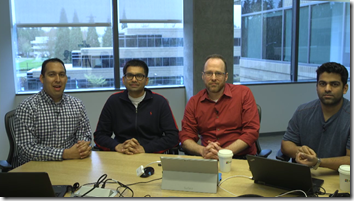 The team shared some cool demos of new features available in the latest Visual Studio 2015 CTP 6 and some sneak peeks into features coming up in the next version of Visual Studio 2015 – including features that address top customer requests like the evaluation of Lambda Expressions while debugging and how to use “Run to Cursor” versus “Set Next Statement”. Although the demos kicked off the session with style, the questions started pouring in pretty quickly and it soon became an interactive session. To keep up to date with the latest news in these areas (and Visual Studio overall), check out the Diagnostics Blog, Azure Blog, and Visual Studio Blog. Recap of WPF Team Live Q&A. Later, at the WPF Team Live Q&A event, we had Harikrishna Menon Ajith Kumar, Unni Ravindranathan, and Rob Relyea from the WPF team. Seth Juarez from Channel 9 moderated. This live Q&A started off with questions at the top of many developers mind such as “is WPF in maintenance mode?” and “is Microsoft still investing in WPF?” Short answer is – “WPF is definitely not in maintenance and the team is continuously investing in it”. The team shared details on where we are investing in WPF and demoed some of the latest features. The team also addressed questions on cadence of updates to WPF libraries and assemblies given the dependency on .NET framework. This was an interactive session from the get go with the live audience asking questions faster than the team could answer! We are glad to see so much continued love for WPF. Keep in touch with the latest news in this space on the WPF Blog and Visual Studio Blog. You’ve got a lot to say, and your feedback during these events was tremendous. A big thank you to everyone who participated. When’s the next Connect(“Live”) Event? Radhika has been at Microsoft for almost 4 years. She first started off as a Program Manager on the Visual Studio Platform team where she helped build IDE features. She is currently with the Customer team and manages the Visual Studio blog.